The dangers of child food allergies are overstated and cause UK parents needless worry, a leading expert says. Newcastle University child health professor Allan Colver told the British Medical Journal allergies were causing fewer than one death a year on average. But he said media headlines and the prescribing of adrenaline injections to combat bad reactions caused anxiety. Professor Jonathan Hourihane, from University College Cork, said it was important to provide parents with help. Food allergies affect one in 20 children in the UK and are mainly caused by milk, eggs, nuts, fish, soya and wheat. They have been rising for the past decade, but experts are unsure why. Professor Colver said: "Food allergy is often thought to be more dangerous and frightening than pneumonia, asthma or diabetes. "In reality, the risk of death is very small. 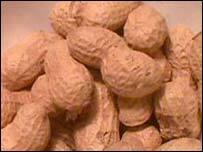 Eight children under 16 years died from food allergy between 1990 and 2000 in the UK. That is one death per 16 million children each year. "Yet childhood food allergy is being diagnosed more often and the number of prescribed adrenaline kits has greatly increased." He said this was causing parents great anxiety and the kits should only be prescribed when the diagnosis of food allergy was confidently predicted. And he said even when parents had adrenaline available, they often did not use it, perhaps because they were unsure of how to operate the kits properly. He also blamed media stories for the increased concern over allergies, citing recent newspaper headlines such as "One bite and he dies" and "Worry over nut allergy knocks out school conkers". But Professor Hourihane, who is a professor of paediatrics and child health, said parents were right to be concerned. He said while deaths were rare, other reactions were possible, so it was important to prescribe adrenaline kits. "No tests are available to predict who will or will not have a severe allergic reaction, so management consists of empowering patients and providing rescue drugs. "Delay in use of these drugs is associated with a worse outcome in severe reactions. "Food allergy is here to stay. The disease is a killer, though rarely, but it can erode or inhibit normal formative experiences in childhood and it impairs quality of life."